If you would like to purchase prints or license usage rights of some of these awe inspiring astronomical phenomena then please contact me via e-mail with a description of the subject, the size of print or image needed and the intended usage of the image (if the image is to be used for commercial purposes). I offer un-mounted prints of selected subjects using various archival ink-based printing processes. These prints are availabe both signed and un-signed. Note: The selection of prints is not limited to the various samples assembled below. 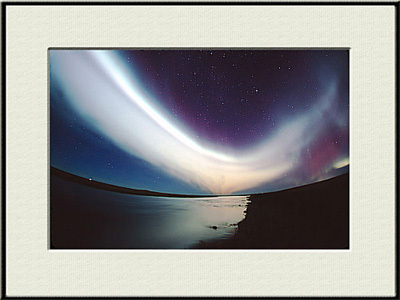 This image was aquired in southern Iceland in September of 2004. The building you see in the foreground is the Hótel Rangá. "Explanation: Higher than the highest mountain, higher than the highest airplane, lies the realm of the aurora. Aurora rarely reach below 60 kilometers, and can range up to 1000 kilometers. Aurora light results from solar shockwave causing energetic electrons and protons to striking molecules in the Earth's atmosphere. 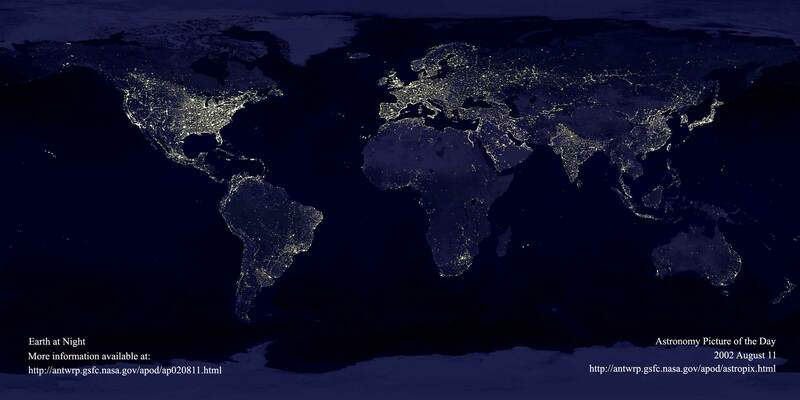 Frequently, when viewed from space, a complete aurora will appear as a circle around one of the Earth's magnetic poles." This image was aquired at my ARGO observatory in Central Oregon. This color view of the Cocoon Nebula displays subtle features within and surrounding the dusty stellar nursery. 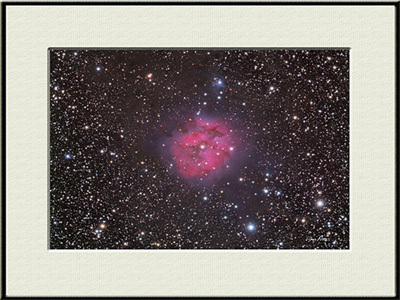 "Explanation: Inside the Cocoon Nebula is a newly developing cluster of stars. Cataloged as IC 5146, the beautiful nebula is nearly 15 light-years wide, located some 4,000 light years away toward the northern constellation Cygnus. Like other star forming regions, it stands out in red, glowing, hydrogen gas excited by young, hot stars and blue, dust-reflected starlight at the edge of an otherwise invisible molecular cloud. In fact, the bright star near the center of this nebula is likely only a few hundred thousand years old, powering the nebular glow as it clears out a cavity in the molecular cloud's star forming dust and gas." This image was aquired at my ARGO observatory in Central Oregon. "Explanation: Perhaps the most famous star cluster on the sky, the Pleiades can be seen without binoculars from even the depths of a light-polluted city. 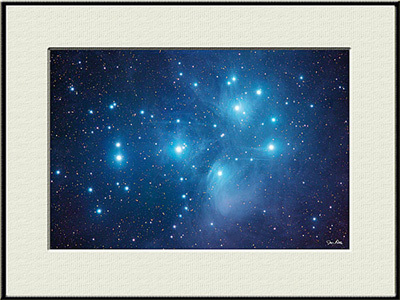 Also known as the Seven Sisters and M45, the Pleiades is one of the brightest and closest open clusters. The Pleiades contains over 3,000 stars, is about 400 light years away, and only 13 light years across. A prominent telescope and car company has borrowed the star cluster's name. Quite evident are the blue reflection nebulae that surround the brighter cluster stars. Low mass, faint, brown dwarfs have also been found in the Pleiades." "Explanation: Andromeda is the nearest major galaxy to our own Milky Way Galaxy. Our Galaxy is thought to look much like Andromeda. Together these two galaxies dominate the Local Group of galaxies. The diffuse light from Andromeda is caused by the hundreds of billions of stars that compose it. The several distinct stars that surround Andromeda's image are actually stars in our Galaxy that are well in front of the background object. Andromeda is frequently referred to as M31 since it is the 31st object on Messier's list of diffuse sky objects. M31 is so distant it takes about two million years for light to reach us from there. 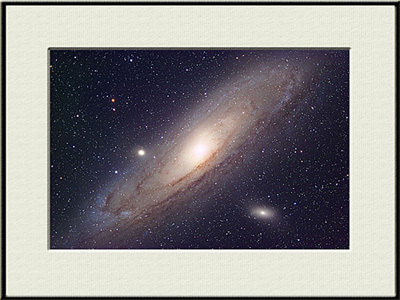 Much about M31 remains unknown, including how it acquired its unusual double-peaked center." 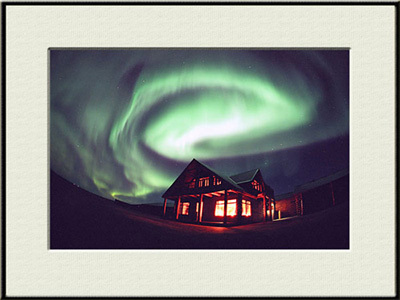 This image was aquired in southern Iceland in September of 2004 near the Hótel Rangá. "Explanation: Like delicate cosmic petals, these clouds of interstellar dust and gas have blossomed 1,300 light-years away in the fertile star fields of the constellation Cepheus. Sometimes called the Iris Nebula and dutifully cataloged as NGC 7023, this is not the only nebula in the sky to evoke the imagery of flowers. Within the Iris, dusty nebular material surrounds a massive, hot, young star in its formative years. Central filaments of cosmic dust glow with a reddish photoluminesence as some dust grains effectively convert the star's invisible ultraviolet radiation to visible red light. Yet the dominant color of the nebula is blue, characteristic of dust grains reflecting starlight. Dark, obscuring clouds of dust and cold molecular gas are also present and can lead the eye to see other convoluted and fantastic shapes. Infrared observations indicate that this nebula may contain complex carbon molecules known as PAHs. 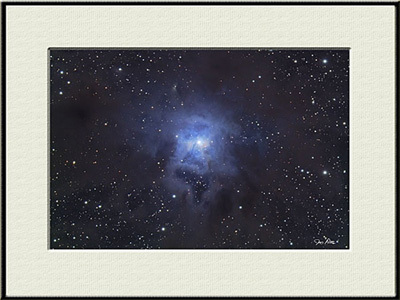 The Iris Nebula is about 6 light-years across." All Images Copyright © 1998-2017 Jay Potts, All Rights Reserved - The Castaways, Inc.